By Zhang. Posted 2010-03-23 at 19:36. Filed under Electronica and tagged China, United States. Permalink. Subscribe to this post’s comments. Both comments and trackbacks are currently closed. 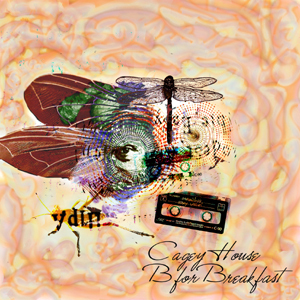 Cagey House creates ethereal and energetic instrumental music. Cagey House music has been featured on over one hundred alternative-oriented music podcasts, and also used as background, bumper, and theme music on many other non-music-oriented shows. Have had a couple of net-releases through Nishi, Umor-rex, Dog Eared, bumpfoot, and a few other netlabels. B for Breakfast is Cagey House’s latest production. The album has varied between being kind of pop/rock-ish and instrumental experiments. All the tracks focused on melody and rhythm, but with lots of unexpected twists and turns, and with some dada-style vocal samples mutually interacting.